Nikkii Carlisle has been helping to run ArborGate Labradoodles since 2010 but she will be retiring in early 2019. With Nikkii leaving, ArborGate Labradoodles is looking for someone to fill her big shoes. If you live in the Lafayette area, are home during the day, love dogs and want to partner with us to raise the best puppies ever…. please reach out to us. We are a small home breeder of Multigenerational Australian Labradoodles. 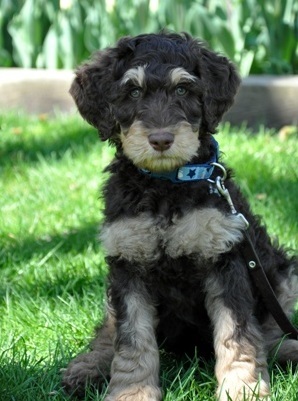 We have been raising quality, well loved Australian Labradoodle puppies since 2007. Our reputation and experience can give you confidence that you’ll be getting an amazing puppy and quality service. We are located in Lafayette Indiana ~ just 2 hours south of Chicago and 1 hour north of Indianapolis. We are able to ship our puppies to families in the US, Canada and beyond. Our Australian Labradoodle puppies are whelped and raised in our home. Puppies are handled from day one. Each puppy receives an ArborGate Education that begins on their first day and continues until they’re in your arms as well-socialized pups. Our labradoodle puppies are also given the utmost in veterinarian care. You can rest assured that your puppy has received the best possible start in life. Our dogs are a wonderful breed for allergy sufferers. They’re laid back, intuitive, easy-to-train companions that are great with children. We truly look forward to helping you add a labradoodle to your family!